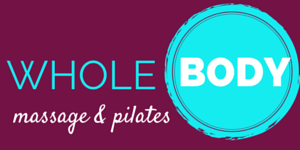 Whole Body Massage & Pilates is a full-service, fully equipped studio focusing on private and duet Pilates sessions. Allison’s desire is to give you the tools to live better in your own body, gain strength, flexibility and longevity. At Whole Body, Allison teaches the classical approach which was developed by Joseph H. Pilates over 90 years ago. This means Allison believes in and teaches functional movement. The goal is to help you develop new muscular patterns in your body that will change the way you look, feel and function. Pilates is a proven healing method to relieve back pain, improve posture, lose belly weight and gain muscle tone. When she teaches, she looks at every body, every muscle, every movement as puzzle pieces that need to be aligned and balanced. She does not consider herself an exercise instructor, but rather a teacher who looks at what your body needs to be stronger, healthier, centered and more stable. She is confident and passionate to help each student see and feel the positive change in their bodies and in their lives.